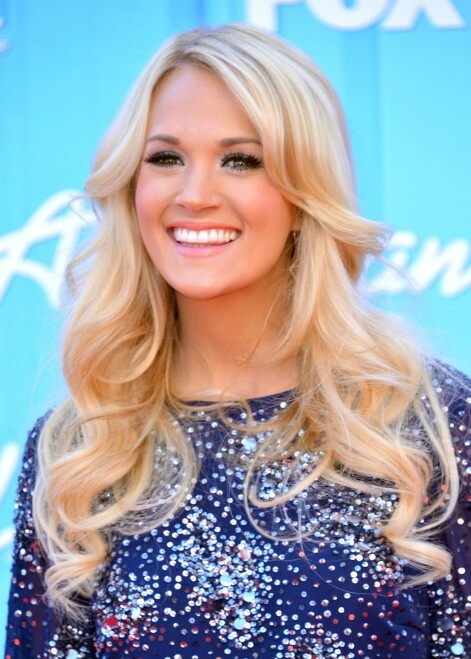 Here is a beautiful blond curly hair style for long hair from Carrie Underwood. Carrie Underwood wore her hair in pretty cascading curls for the ‘American Idol’ finale. This is a great long curly hairstyle for prom.